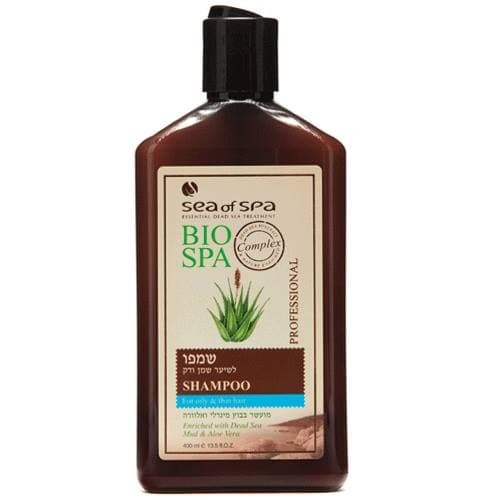 Shampoo for oily, thin and dull hair. Enriched with Dead Sea mineral mud that effectively absorbs excess oil and dirt and moisturising and soothing Aloe Vera extract. Thoroughly cleanses hair and scalp without drying, nourishes and treats gently oily scalp, leaves hair clean, fresh and more voluminous. Massage a generous amount of shampoo on wet hair and scalp. After a moment, rinse well. Suitable for daily use or as necessary.